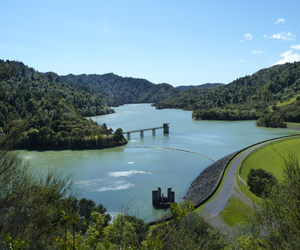 The Auckland Council and Department of Conservation have planned a pest control operation involving a drop of sodium fluoroacetate (1080 poison bait) in the Hunua Ranges Regional Parklands, Whakatiwai and Waharau, (collectively referred to as Kohukohunui), which they wish to undertake now. The Friends of Sherwood filed an application for interim and final enforcement orders seeking to prevent the planned drop, and on 6 September 2018 at a judicial telephone conference convened on an urgent basis by Judge Smith, they obtained an interim order preventing the drop from occurring until their interim application could be heard by the Environment Court on 13 September 2018. The result of this interim application was released to the public at 1pm on 21 September 2018. We are not persuaded that there is likely to be serious harm to the environment if the proposed application proceeds. On balance, for the reasons expressed above we consider that the overall justice of the case favours the interim order not being continued. We do, however, consider that some time should be allowed to enable the applicants to further consider their options. For this reason, we determine that the current interim order will expire at 5.00pm on 21 September 2018. Iwi Institutions in Emergency Management; Fair weather ahead?